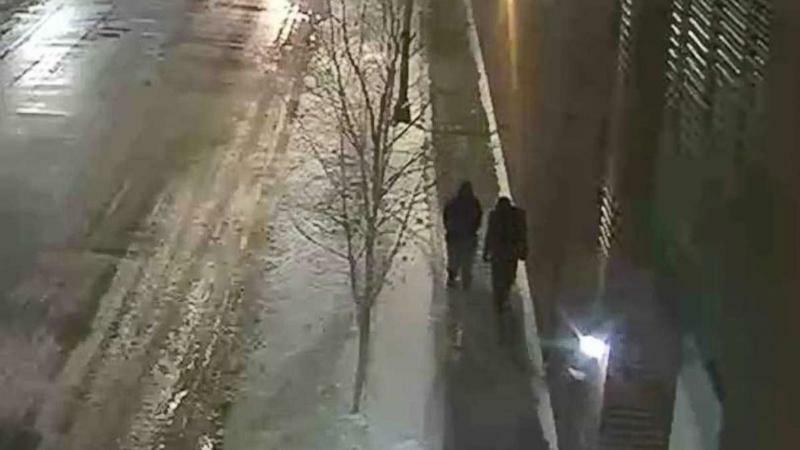 Chicago police announced they have located surveillance video showing potential persons of interest in an alleged attack on "Empire" actor and singer Jussie Smollett. Investigators are looking to question the men seen in the video, which was found Wednesday, Chicago Police Department Chief Communications Officer Anthony Guglielmi announced on Twitter. A Chicago Police spokesperson told ABC News the video shows two people walking in the general area of where Smollett was at the time of the attack. The video does not show the assault, the spokesperson said. The department sent out an alert out to the community asking if the public recognizes the two unknown people, but the quality of the video is not great, the spokesperson said. 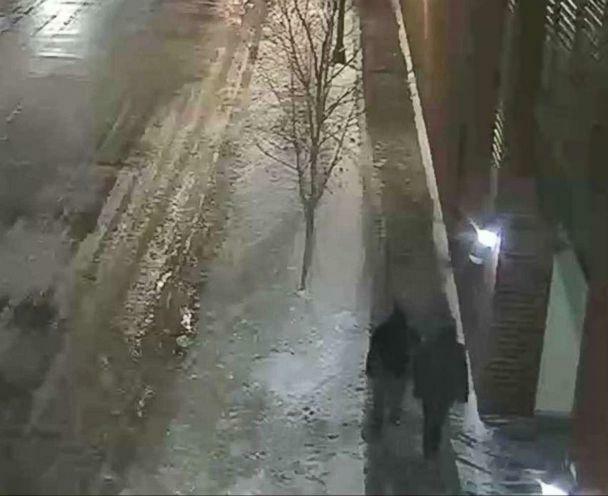 Police are continuing to investigate and search for the two men allegedly involved in what they call "a potential racially-charged hate crime" against Smollett. The brutal attack against the "Empire" star took place around 2 a.m. Tuesday and the 36-year-old actor was subsequently hospitalized and released, local authorities said. 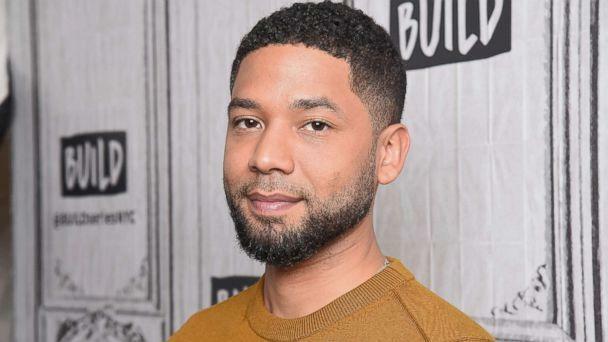 Smollett has been cooperating with local authorities to find the men he says attacked him, shouting racial and homophobic slurs at him in the process. In addition to being attacked, Smollett told police Tuesday that the men also poured "an unknown chemical substance" on him, possibly bleach, and wrapped a rope around his neck. The rope was still around Smollett's neck when he was found, officials said. "As of 10 p.m. Tuesday, detectives canvassed and reviewed hundreds of hours of video and have now expanded the search area along the Chicago riverfront, hoping to find video to be able to release a public description of the offenders," a Chicago Police Department spokesperson told ABC News early Wednesday. "We are taking this investigation very seriously and detective teams will broaden our search area and work around the clock to look for video on traffic cameras, CTA buses and neighboring thoroughfares which could have captured the offender's movements," the police spokesperson added, referring to the Chicago Transit Authority. "The victim in this case is cooperating fully with detectives and our investigation continues." On Tuesday, an earlier alleged threat to Smollett, in the form of a letter, drawing the Federal Bureau of Investigation (FBI) into a probe of the letter threat, the spokesman confirmed to ABC News. The letter allegedly threatening Smollett before the attack was sent to the Fox television studio in Chicago on Jan. 22, police said. The letter contained threatening language and was laced with a powdery substance that investigators believe was likely just crushed-up Tylenol. "I heard that clearly. I heard the scuffle and I heard the racial slur." Chicago Police told ABC News that they spoke with Moore, and that his account is noted in the police report, though they have not yet confirmed it with phone records. They added that both Smollett and Moore told them they were on the phone together. "Jaws dropped to the ground," Howard said, recalling the emergency cast meeting. "And then when we learned that there had been letters sent to Fox as threats about the potential for something like this and then we became much more frightened." "As far as I know, for 17 hours a day, Jussie Smollett is my son," Howard said. "So you're feeling this helplessness, this hopelessness that your children -- the people that you love -- aren't safe," he added. "It was offered up today that we could have 24-hour security. Someone parked in front of our house during the evening, someone to drive us, or to follow us to and from work," Howard told "GMA." Other members of the "Empire" family like creator Lee Daniels and co-star Vivica A. Fox spoke out in disgust over the attack and said they will be right by his side. 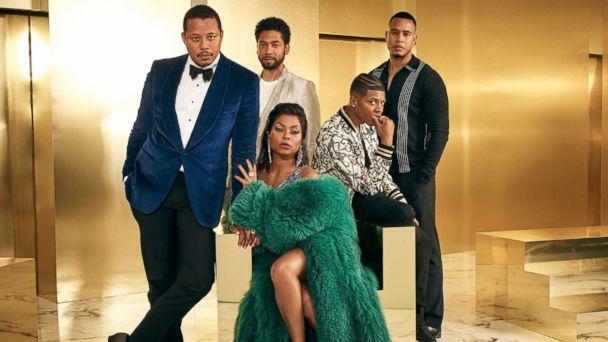 Smollett's "Empire" character, Jamal, is the son of a hip-hop mogul who initially has trouble accepting that Jamal is gay. After hitting it big in "Empire," Smollett said he likes to stay away from talking about his personal life, but he did. make reference to his sexual identify -- which has prompted industry chatter. "There's never been a closet that I've been in," he said. "There is, without a doubt, no closet that I've ever been in, and I just wanted to make that clear." In previous interviews, Smollett wouldn't talk about his sexuality but did say fans and others shouldn't try to fit him into any box. ABC News' Julia Jacobo contributed to this report.